Fluid conditioning: a fundamental role of flow management to ensure optimal production rates and sustainable pipeline integrity. By means of the controlled injection of chemicals like corrosion inhibitors and Drag Reducing Agents (DRAs), uninterrupted, peak throughput can be achieved from a pipeline. Many of these chemicals or agents are comprised of very expensive, long-chain polymers that are extremely sensitive to fluid shearing when conveyed by mechanical equipment. Precise metering of the prescribed volume into the flow network will increase both the operational profitability, by allowing additional volume to be transported through the same pipeline with the same pressure drop, and the longevity of the transportation circuit, by means of guarding against the attack of corrosive salts and microorganisms into the internal surface of the pipe wall. Ensuring that the Chemical Injection equipment is capable of passively handling these fluids without damaging the stability of the polymers is a critical requirement that needs to be respected when evaluating technical solutions. 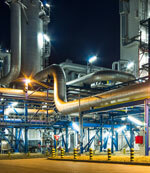 As experience bears out, these small Chemical Injection systems need to be well engineered. In many cases, due to the overall length of a pipeline, the injection skid, supply tank and controls are installed in remote, unmanned areas. 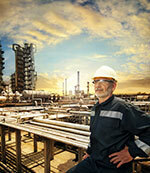 Reliability is critical, since the equipment will typically only be revisited to refill the chemical supply tank. 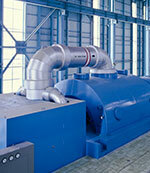 As these systems are directly connected to the main pipeline, the pumps must be capable of withstanding exposure to full line pressure in the event of an unplanned shutdown. 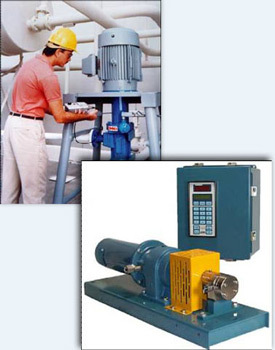 For this reason, sealless, magnetically driven pumps are favorably viewed, as they eliminate the possibility of any process fluid being discharged into the environment. Midstream facility managers and operators around the globe have realized that volumetric, rotary PD pumps are something they can capitalize on in these services. Having one machine that can efficiently transport heavy, medium and lightweight oils with high pressure boost capabilities, while at the same time delivering a near constant, pulse free flow rate, provides the system control and reliability that end users demand. These strengths, coupled with the tremendous turndown flow range of rotary PD pumps and their inherent high suction lift capability, make them an ideal fluid-conveying solution for your pipeline Chemical Injection systems.